Tony Gilbert from Wiltshire won the second Fish ‘O’ Mania qualifier on his home water of Witherington Farm Lakes on Saturday 14th April and is the second lucky angler to progress onto the final in Doncaster. With similar conditions to Viaduct the previous week, bright sunshine and limited wind helped temperatures rise to a Mediterranean 23 degrees more akin to a day on the beach than a day spent fishing. 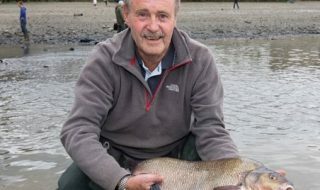 With such conditions the fishing understandably proved tough and the usually productive Witherington Farm was a tough test for the majority of the 130 anglers taking part. Only a select few caught well on the day with Professional Angler, Andy May showing the true potential of the fishery weighing in with 90lbs 8ozs. Andy made up most of that catch with 72lb of silver fish using caster at 8 metres on the pole, his biggest fish being a 6lb Carp. 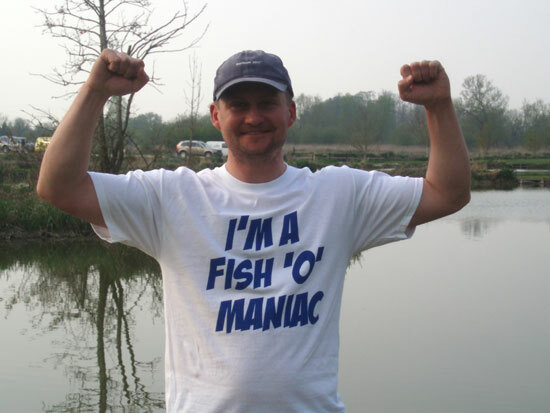 However, Andy was only able to finish second and the Fish ‘O’ Mania Final place from this match went to 32 year old Plasterer, Tony Gilbert from Melksham, Wiltshire (pictured below). Tony, who was fishing Outer Snake Lake, got off to a difficult start and failed to catch for the first two hours. In an attempt to get the fish biting Tony was piling in casters tight to the far bank which finally got the Carp going. 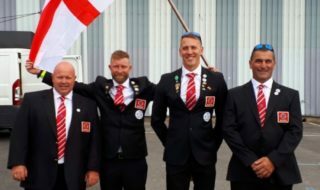 With these tactics proving successful he made up for lost time with a superb last hour of fishing to win the event with 107lbs 8ozs. The Wiltshire Angling member caught a total of 32 Carp with the biggest being an impressive 15lbs. 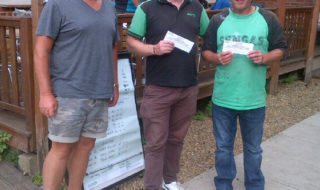 In third place was Taxi Driver Graham Dack from Romford in Essex who caught 55lbs 8ozs of Carp fishing on Peg 46 next door to the winner Tony Gilbert. An unexpected catch on the day was a rare visit to the bank for Witherington Farm’s one and only Grass Carp which Paul Carpenter landed from Outer Lake peg 23 weighing just over 20lbs, a mean feat for anyone on a pole.